This is what an instructor says with a palpable sense of pride, as we share the cab from Luton with a trainee driver. ‘That’s my fact of the day,’ he adds. Having topped 100mph on the journey to London, we are just approaching Farringdon Station. Despite the venerability of the tunnels, this is to be a crucial, 21st century junction in a £7billion engineering project that hopes to transform the journeys for people on some of the south-east’s most troublesome lines. From May 20, a new timetable begins with a range of new north/south routes, such as from Cambridge to Brighton and, when the Elizabeth line (Crossrail) is running at the end of 2018, passengers will be able to change at Farringdon and get services straight to Heathrow and Canary Wharf, avoiding the Tube entirely. It is hard to remember the last time a week went by without three companies — Southern, Thameslink or Great Northern — grabbing the headlines after some dreadful delays, cancellations or strikes. In survey after survey, passengers have rated these services among the worst in the country. Between April 2015 and March 2016, just 20 per cent of Southern services arrived on time. The grumbles of passengers have erupted into screams: people have lost their jobs as a consequence of constantly getting to work late due to train disruption; factoring in train delays has become, for many, a feature of working in the capital. Govia Thameslink Railway (GTR), Britain’s largest train operating company, incorporates four networks — the notorious trio as well as Gatwick Express. Overall, 326million passenger journeys are made each year on these networks, one in five of every journey made in the UK. Southern has the fastest growth of passengers nationwide, numbers having doubled in the last 12 years, compared with 20 years for the rest of the country. 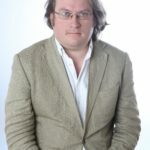 The group was set up in 2014 and will be broken apart in 2021, but the four networks were brought together in a search for efficiency, as it was recognised that drastic remedial work was required. But, during the worst moments of disruption, for passengers it has felt like having teeth pulled without anaesthetic. The group, however, is increasingly confident that from May, and over the subsequent 18 months, passengers will notice a dramatic improvement in services, as the investment and the sometimes painful redevelopment finally starts to bear fruit. From May this year, 18 services will run an hour through the core section of track — from St Pancras to Blackfriars — steadily increasing to 24 an hour by December 2019. Initially, this will offer 40,000 more passenger journeys during three-hour peak times, ultimately reaching 60,000. 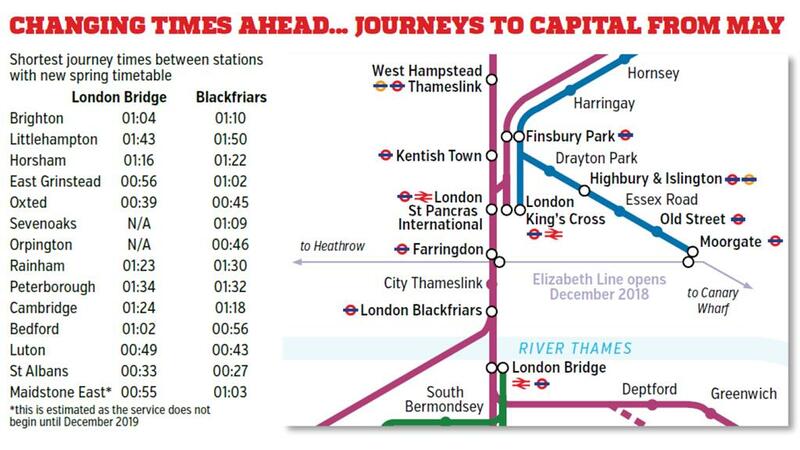 Thameslink trains will be calling at 80 more stations — more than 140 in total — and the trains themselves are substantially bigger than the old rolling stock. Costing £1.6billion, 115 new Siemens trains will run on the network, some carrying as many passengers as 21 double decker buses. London Blackfriars, with its expansive views of the Thames, is set to be the ‘gleaming hub’ of the network and, for the first time, London Bridge will have two dedicated platforms for Thameslink through-services, running north and south. Insiders like to call it a ‘second Northern line’, though it won’t be appearing on a Tube map any time soon. 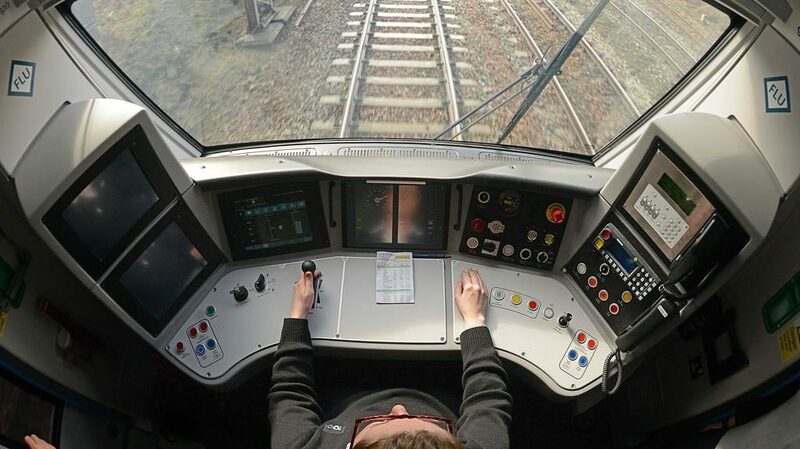 And for the first time for a mainline train service, Thameslink will use Automatic Train Operation (ATO), a system used by the Victoria line, where the driver is there to step in if anything goes wrong. Only with such a system can these mainline trains run with a frequency comparable with the Tube network. Back in the cab, another instructor tells me that one of the challenges for drivers is to be taught not to interfere with the controls in this section of track. Everything is so automated, it’s when manual overrides occur that mistakes and delays could happen. Over the last couple of years, roughly 250 trainee drivers have been taken on — 50 per cent of whom are women — with the vast majority qualifying after a year of training, during which they are expected to learn every conceivable variable of their route, so they are prepared for every distraction, even acknowledging children waving from platforms (as my daughters are prone to do). Across the four networks, GTR is hopeful passengers will appreciate the benefits of the investment. The dramatic changes at London Bridge and the new, longer trains are clearly the most visible changes but, on the Great Northern route, there will be direct services to City Thameslink and Blackfriars from Cambridge and Peterborough, with extra seats during peak hours. On Southern, finally, the strikes have mainly come to an end, the redevelopment of London Bridge is nearing completion, and new and extra services from the south coast into the centre of the capital are coming with triple the numbers of trains from Brighton to London Bridge by December 2018. Charles Horton, the chief executive of GTR, admits things have been tricky for passengers but insists they will notice the difference. He says: ‘We know that many passengers have had a difficult few years during this upgrade programme. But they now are beginning to reap the benefits of this work. 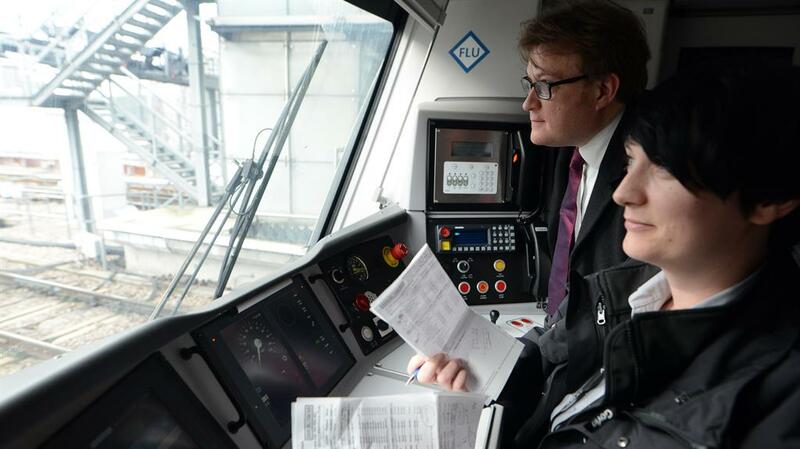 ‘There’s a huge step forward this May which integrates Southern, Gatwick Express, Great Northern and Thameslink. Passengers across regions will benefit from many more services through London from the east of England to the south coast. Metro will be interviewing Charles Horton, chief executive of GTR. If you want to put a question to him email joel.taylor@metro.co.uk and the best ones will be selected.